Planet Rump plays NYE Loft Party!!! 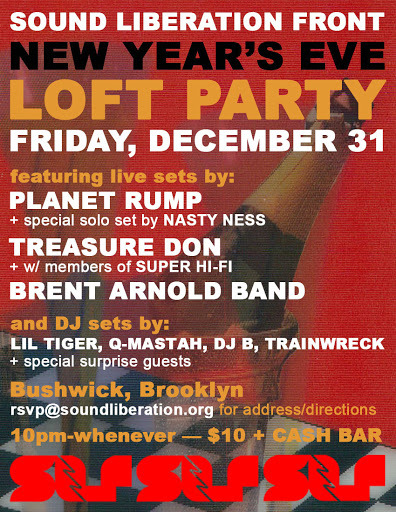 Sound Liberation Front NYE Loft Party! live music and DJs all night!